Review The first Asus Eee PC was only released a little over 18 months ago, but given the sheer number of Small, Cheap(ish) Computers on the market you could be forgiven for thinking it had been around for much longer. With the Eee PC and its clones occupying the entry level, if you want something small and portable but with a bit more oomph, then you're venturing into expensive sub-notebook territory. 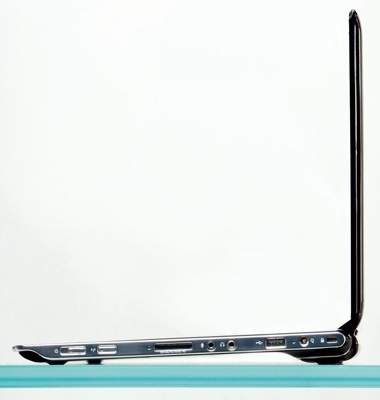 There's very little in the middle, which is where the HP Pavilion dv2 comes in. It's the first machine to use AMD's Athlon Neo processor, which was designed with thin, light laptops in mind but also with a careful eye on the price tag as well. Three flavours of the dv2 are available. The entry-level dv2-1010ea comes in at £499, followed by the dv2-1030ea, reviewed here, for £599 and the top-of-the-range dv2-1035ea, which will set you back £699. They're all powered by the same 1.6GHz Athlon Neo MV-40 chip but pack 1GB, 2GB and 4GB of memory, and 160GB, 320GB and 500GB of hard drive storage, respectively. 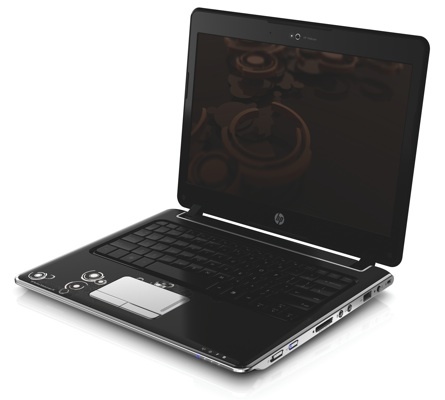 The entry-level model is equipped with AMD's own ATI Radeon X1250 graphics chip and runs Windows Vista Home Basic, while the more expensive models come with more graphical grunt - an ATI Mobility Radeon HD 3410 - and are pre-loaded with Vista Home Premium. The latter two gain an HDMI port although, somewhat strangely, the most expensive machine loses the Bluetooth capability seen on its cheaper siblings. It's all wrapped up in a case with a 292 x 240mm footprint that measures 24mm at the front, rising to 33mm at the rear, and weighs in at 1.7kg. That's not quite MacBook Air thin and light, but it's not a million miles off.